make ginger tea at home. it’s certainly healthier and more natural to prepare it by yourself at home. You can make ginger tea at home and Yes, you can get a cheap tea bag of ginger from most shops close to you but it’s certainly healthier and more natural to prepare one yourself at home. There’re so many benefits of drinking ginger tea. People with a digestive disorder, poor blood circulation, and other medical conditions can improve these conditions with a cup of ginger tea. If you want to prepare a healthy spicy tea made from ginger, then you’re in the right place. 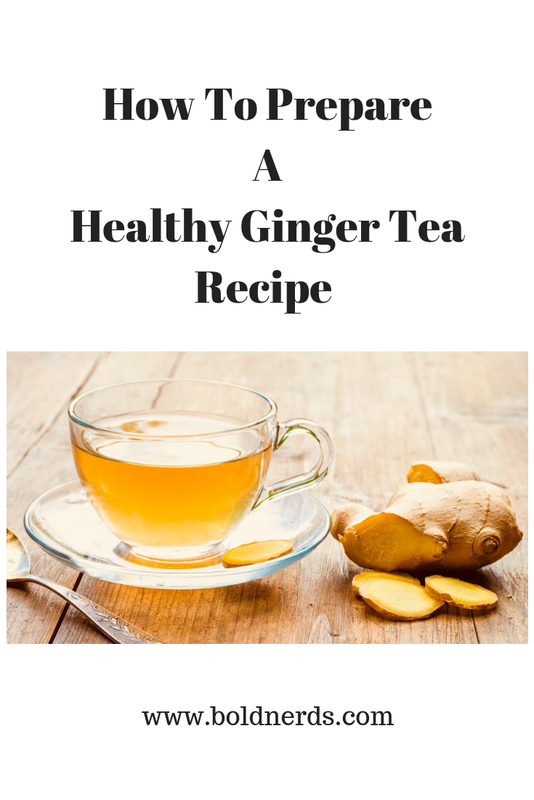 This article will help you make a simple ginger tea that will not only taste good but will also help to improve your health in no time at all. Scrape the peel off your ginger with a knife. A spoon also does the job better. Grate or chop the ginger into smaller sizes. Put 1 teaspoon of grated ginger root on a tea filter or any filter that can stop the penetration of ginger particles. Place the filter on top of a clean cup. Pour one cup of boiling water on the grated ginger. Add honey or lemon for a refreshing and sweeten taste if desired. Note that you can repour your ginger tea back onto your tea filter containing the grated ginger to make sure sufficient ginger nutrients are dissolved in your tea. Put chopped ginger into in a kettle or saucepan of boiling water. Allow it steep for about 10-30 minutes depending on how spicy you want your tea to be. Remove the ginger slices and pour your tea into your favorite teacup or mug. You can sieve or filter the tea to remove ginger particles, optional. Add some drops of lemon juice or a spoon honey. Stir and enjoy your cup of healthy ginger tea. 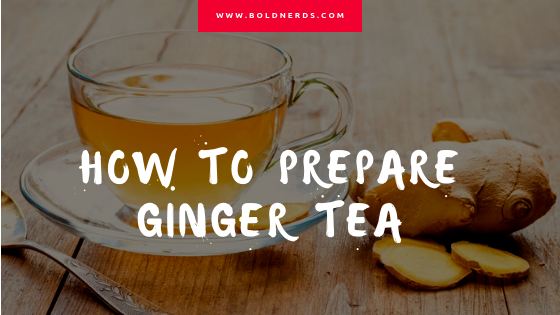 This is how to prepare a healthy but delicious ginger tea effortlessly. All you really need is a piece of ginger and maybe your favorite mug for this essential recipe.